After a long and successful career as a player at Tannadice, Sturrock became a first team coach under Jim McLean when he retired in 1989 due to injury at the age of 32. Four years later, he was offered the vacant manager's job at St Johnstone, and after a rocky start he eventually lead the Perth side to the First Division championship in 1997. 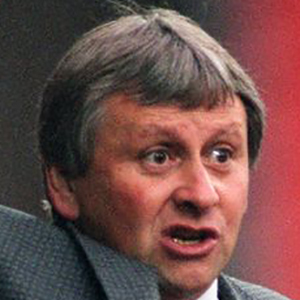 After his success at St Johnstone, Sturrock became the ideal candidate for the United manager's position when Tommy McLean resigned in September 1998, and although Sturrock was settled and doing well in Perth, he found it too difficult to turn down a return to the Club he had spent his entire playing career with. 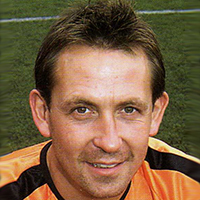 With the signing of talisman striker Billy Dodds, Sturrock had a promising start to his time in the Tannadice hot seat - after a first transitional season he had United sitting third in the SPL by December 1999. However, the sale of Dodds to Rangers saw the team go into freefall, and by the end of the season they were only 3 points off the bottom of the table. After two defeats in the first two SPL matches of the 2000/01 season, Sturrock surprisingly resigned due to personal reasons. Not long after, he took up the managers position at Plymouth Argyle, and went on to enjoy managerial spells at all four divisions of English football, including Southampton, Sheffield Wednesday, Swindon Town, Southend United and Yeovil Town.